The MARC O'POLO Foundation donates 20,000 trees to congratulate Felix Finkbeiner on receiving the Federal Cross of Merit. This morning Felix Finkbeiner, only 20 years old, was honored by President Frank Walter Steinmeier with the Federal Cross of Merit for his services to combat the climate crisis. The MARC O'POLO Foundation congratulates Felix Finkbeiner on this special award and supports the young climate protector’s appeal for a climate-neutral Germany with a donation of 20,000 trees. At the age of 9, Felix Finkbeiner founded the initiative Plant-for-the-Planet. 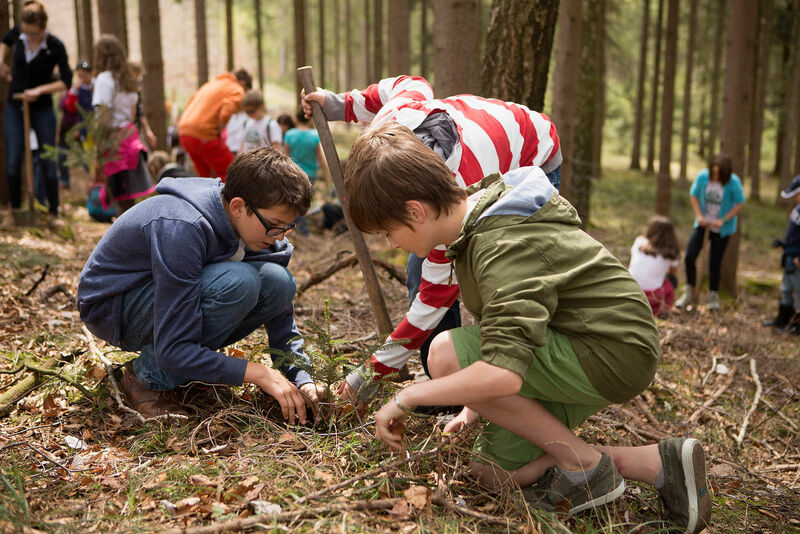 Since then children and adolescents have planted more than 15 billion trees with the support of adults, governments, companies and organizations. But there’s more to be done: As a spokesperson for children and adolescents, Felix Finkbeiner is calling for Germany to become climate-neutral and counteract its current annual emissions of 900 million tonnes of CO2 through reforestation and the creation of other natural CO2 reservoirs. The MARC O'POLO Foundation has supported Plant-for-the-Planet since 2016. With the creation of a Plant-for-the-Planet Academy, the premium casual brand has helped train 35 children from the region around its headquarters to be climate ambassadors. Since then, the MARC O'POLO Foundation has been steadily committed to planting new trees together with Plant-for-the-Planet. With the donation of 20,000 trees announced today, the MARC O'POLO Foundation reaffirms its support for Plant-for-the-Planet in the fight against the climate crisis.